Gazi Journal of Engineering Sciences (GJES) is an International Refereed Journal published in the field of Engineering (Machinery, Construction, Industry, Computer, etc.) and Technology. The academic publications sent to Gazi Journal of Engineering Sciencesare published as open access on the Internet three times a year, after passing through the review of the referees, in April, August and December. 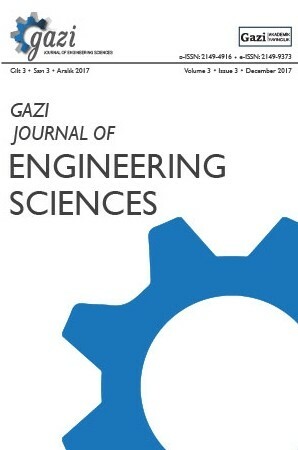 The publication language of Gazi Journal of Engineering Sciences is Turkish or English.